The Edison State Community College men’s and women’s basketball teams swept Miami University-Middletown Tuesday to take 20-4 records into Wednesday’s games with Clark State. The Edison State men, ranked 17th in the nation, rolled up a 118-83 victory over MUM. The Chargers led 51-30 at halftime and built on that lead in the second half. James Richrdson Jr. had 21 points to lead the ESCC scoring attack. Lacey Watson had 19 points, five rebounds and four steals, while LNevin Wright scored 14 points and Lamine Komara added 12 points. Sean Jones had 13 points, five rebounds, six assists and four steals, while Cameron Arnold added 10 points, seven rebounds and five assists. Jaedyn Carter scored eight points, Derek Stout had eight points and five rebounds and Caleb Maggard had seven points. 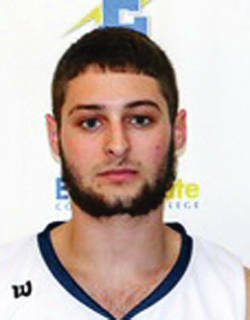 Dakota Prichard had six assists and five rebounds. 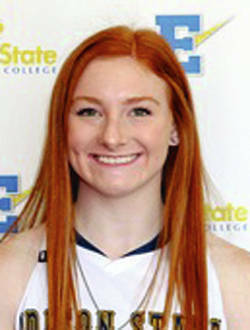 Edison State made 47 of 89 shots from the floor for 53 percent, including 16 of 28 from 3-point range for 57 percent. The Chargers made eight of 19 free throws for 42 percent. MUM was 28 of 61 from the floor for 46 percent, seven of 18 from long range for 39 percent and 20 of 26 from the free throw line for 77 percent. Edison State won the battle of the boards 53-32 and had 17 turnovers to MUM’s 28. The Edison State women led from the start in a 68-40 victory. The Chargers led 22-9, 33-17 and 60-27 at the quarter breaks. Sarah Pothast had 22 points and 10 rebounds, while Clair Schmitmeyer filled out the stat sheet with 13 points, 11 rebounds, four assists and six steals. Lauryn Gray had 10 points, nine rebounds and seven assists, while Kailani Broyles had nine points, five rebounds, four assists and four steals. Elysabette Andrews added six rebounds. ESCC was 30 of 81 from the floor for 37 percent, including missing all 12 shots from long range. The Chargers converted eight of 11 free throws for 73 percent. MUM was 18 of 66 from the floor for 27 percent, three of 14 from 3-point range for 21 percent and one of three from the line for 33 percent. Edison State won the battle of the boards 60-42 and had 17 turnovers to MUM’s 26.